First of all, a Genius of the Year Award to whoever said Pizza makes everything better. I mean political conversations are hectic. Whether it’s a political chat, a debate, a confrontation, or a rally. As long as it is politics, bet your house it’s hectic. Last week Terrific Tuesday Pizza showed up and showed out. Instead of enduring a hectic political anything, we basically went right into it and effortlessly held the honorable members accountable for every single issue that was brought up. Honestly, initially I thought it would be a bit hard having the conversation. Politics are known to be not just hectic, but dirty too. And young people, let’s just say we could do with a few lessons on emotional intelligence especially when it comes to our leaders. As the pizza hit home, the microphone went round the room. Questions were raised, answers were passed back. 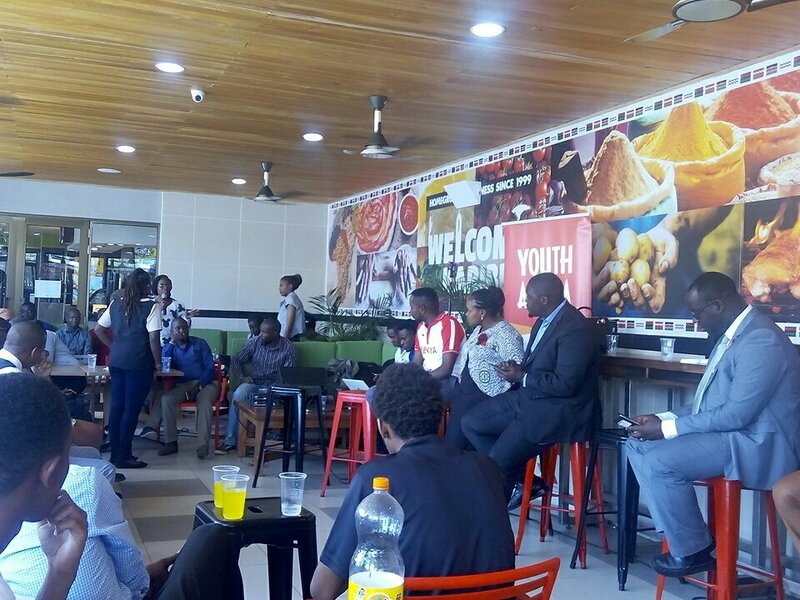 It was beautiful to realize that the young people in Kenya are concerned about our Film Industry. So much support has been put behind Nollywood (you’re welcome Nigeria) by Kenyans that sometimes you’d think you’re hanging out somewhere in Lagos rather than Nairobi. It was pleasant to hear Hon. Johnson Sakaja encourage the young people to claim their space in national leadership. To identify what they are good in and believe in it and invest in it and polish it up and push it forward diligently and never stop ‘till they drop! Coming from a young man that started his political journey as a campaign driver for the 3rd President of Kenya and now has the 4th President’s ear, you bet I personally tattooed those words in my conscious. Nominated Senator Hon. Martha Wangari didn’t let us down with her wit and eloquence. She not only answered every question that flew her way but also dished out her opinion on the other questions and took a break to give words of wisdom to the young folk. She encouraged us to get involved in legislative bills because she strongly believed the future is in our hands already. 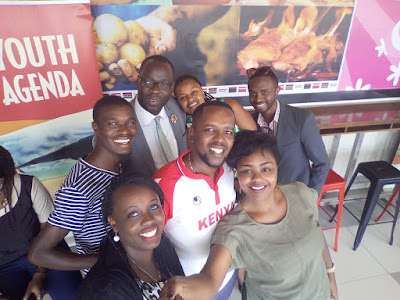 Pizza Inn Ngong Road was an idealvenue, graced by Hon Ken Okoth, MP Kibra Constituency, a performer that many young people admire for articulating youth agendas( including urging us to not only eat the pizza but take a voters card) and a good manager of Kibra’s CDF fund with diligence. One would wonder why someone would want to deny youth such a good leader. Wait a minute, who would think one question among many would take the temperature of the room a scale higher? I didn’t see it coming either but it did. The question on the victimization of the youth by police officers. While Honorable members acknowledged there’s no such thing as loitering with intent to commit crime (much to our satisfaction), Hon. Sakaja was also quick to point out the cost of wearing certain outfits like ‘bling’ that are associated with gangs. Police officers will naturally pick up on hints, whichever hints, to eradicate crime. Sometimes it will involve a futile chase, sometimes a night in the cell for mistaken identity, sometimes a bullet may be faster than the negotiations. Let’s just say in a country where the levels of crime perpetrated by youth are alarming and disturbing, you really want to be on the safe side. It’s just bling. The most exciting experience though, was watching technology do what it does best, take us to those far from us and that was so evident when our hash tag #AskMeAnything was the number one trending topic on Twitter, bringing more people into the room than we had imagined. Generally the conversation was involving, clear and vision-driven because the aim of all of us was and still is to make and see a better country for all generations; past, present and future. And that was well put by the talented Holy Dave in a Spoken Word performance at the end. 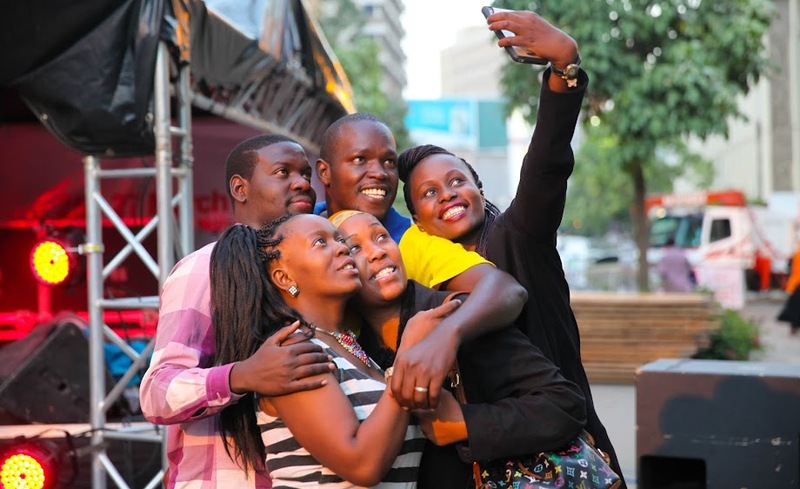 So cliques and clicks, selfies and more selfies and it was great ending to a great beginning. I saw the power and strength and the unity that flows through when everyone is given a safe place to process and express what they feel about a particular issue. It doesn’t matter which side of the court you’re playing. In the end we are on the same team and that is living out the vision we have for this great nation. So, to everyone that played for #TeamKenya, thanks. And thanks again pizza, for doing what you do best, making everything better. Well there you have it, couldn't put it better myself, crazy to think this is the Kenya we live in, Thank goodness we still have a few good ones!